When you start a business, your focus time and effort trying to find customers. That’s understandable. The mistake many business owners make is that, as their business grows, they continue in the same way. And it’s not just small businesses. There are many companies advertising products and services at prices for new customers only. General insurance such as car or home is a prime example. But that’s a huge mistake. Why? It’s more expensive to get new customers than to keep your existing ones. For every £1 you spend keeping a customer you have to spend £5 to £7 replacing them with a new customer. Existing customers spend on average 50% more than a new customer. As well, their value increases the longer they continue to buy from you. Existing customers are easier to sell to. You have on average a 70% chance of selling to an existing customer but only a 20% chance of selling to a new customer. If your customers like you, they will also recommend you. You have a 70% chance of selling to recommendations. Two businesses each have 100 customers. The average value of the first sale is £100 of which £50 is profit. Business A runs a campaign to get new customers. It spends £700, gets 100 leads and sells to 20 of them – each spends £100. The business has gross income of £2,000 and gross profit of £1,000. After £700 marketing costs they have £300 net profit. Business B runs a marketing campaign to 100 existing customers. It spends £100 and sells to 70 of them – each spends £150. The business has gross income of £10,500 and gross profit of £5,250. After £100 marketing costs they have £5,150 net profit. But that’s not the only difference that focusing on existing customers can have. On average, businesses lose 20% of their customers each year. Focusing on your existing customers has a dramatic impact on a business. Business A continues to focus on acquiring new customers. It spends £700 a year and gets 20 new customers each year – but loses 20 existing ones. By not focusing on existing customers it only sells to 20% of existing customers. Gross income from new customers each year is £2,000. They get £3,000 from existing customers (as average spend goes up by 50%). Gross profit is £2,500. After £700 marketing costs they have £1,800 net profit – and that stays the same each year. Business B focuses on its existing customers. 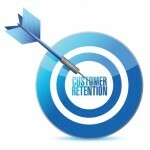 They spend £100 on customer retention so they only lose 10 customers a year. They also spend £700 on new customers, averaging 20 new customers a year. This means the number of customers increases by 10% a year. After 7 years they have 193 customers. That year, their gross income from new customers is the same as Business A at £2,000. Their gross income from sales to existing customers is £20,400. Gross income is £22,400, gross profits £11,200 and net profit £10,400. 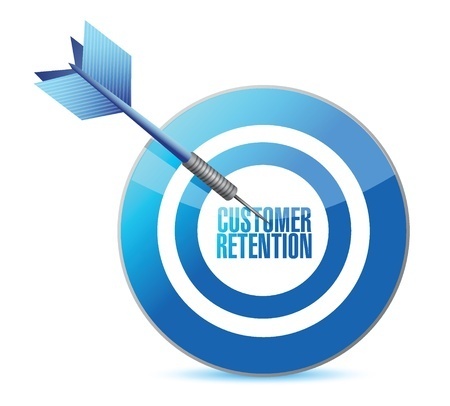 Improving customer retention by just 5% can increase profits by 95% (Harvard Business School). So, it makes sense, as your business grows, to spend more time and effort on your existing customers.